Your Review Of This Business Will Be Posted Soon Or Possibly Immediately. Thank You! Have An Amazing Day And Enjoy Life With Your People & Pets! Your Review Of This Business Will Be Posted Soon Or Possibly Immediately. Thank You! Have An Amazing Day And Enjoy Life With Your People & Pets! This company is a "Business to Consumer" operation and provides all services and products to the general public. 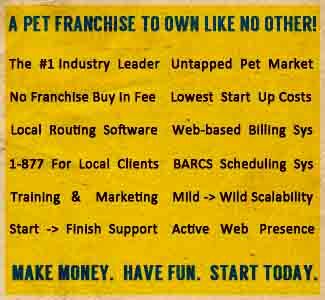 As such, this Company is not offering start up business consulting or assistance to other Animal Industry Businesses at this time (Business to Business).